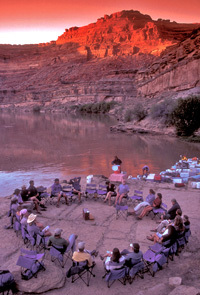 Sheri Griffith Expeditions makes it easy to plan the perfect group getaway. Whether you're part of an adventure club or looking for a fun and easy family reunion, Sheri Griffith Expedition's group planner can help guide you through creating the ideal experience. 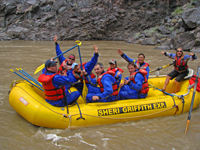 Rafting vacations are a wonderful and bonding experience when shared with family, friends, co-workers or club members. Our responsive and creative staff can develop multi-sport packages, book lodging, restaurantsand conference space, provide transportation options and more. We have an online real time reservations system that makes it easy for your group members to sign up for the trip. This system will automatically track and send out information to you group. A trip packet containing an itinerary, packing list, helpful travel hints, area information and a travel insurance brochure will be sent to every member that signs up. This means you don't have to organize anything and can just enjoy the trip. 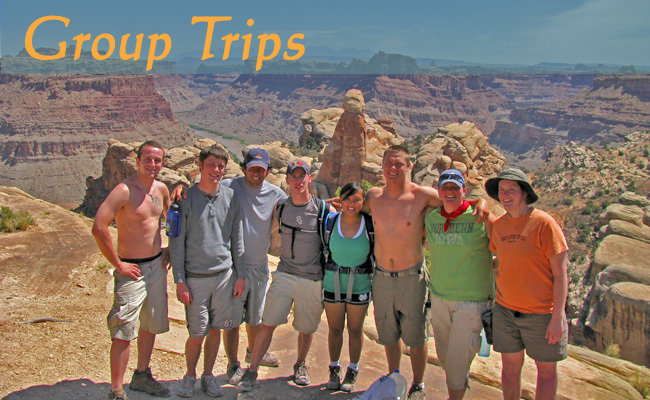 Group Trips: We offer 2 types of trips for groups. Chartered Custom trips allow your group to choose every aspect of your trip; from the dates you choose to travel, the length of your trip, the destinations and activities...to the menu, the wine list, the type of boats you'd prefer and almost anything else you want to make your vacation extra special. 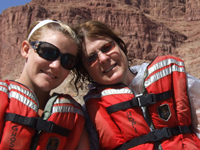 All our river expeditions can be chartered for your own custom trip. We can help you choose and customize a trip that will work the best for your group. All trips include our outstanding service, attention to detail, comfort and professional guides and Staff. On a charted trip you can pick your menu to accommodate different diets and preferences including Kosher, Vegetarian, Vegan and Gluten Free. Let us help create and host your next gathering. You won't be disappointed. Bring a group to join a regular scheduled trip. Group trips are available to any group wishing to travel together. Group trips may or may not include other guests. If you have a group of 10 or more people looking to join one of our scheduled launches than you and your group get discounts! If you have between 10 and 18 in your party, we offer a 5% discount to everyone with the group coordinator receiving a 50% discount. Groups of 19 or more receive a 10% discount for everyone and the coordinator gets their trip FREE! Note: if you or any members of your party are a returning guests than you still receive your 10% Returning Guest discount on top of the group discount!